Cisco announced that Flip product line will be discontinued, and so will FlipShare, the video hosting and sharing service. I’ve been a Flip camera user for many years, and really loved both the simplicity as well as the good quality of the device. You will be missed Flip! Folks like me who shared a few videos with family using the FlipShare app and FlipShare service in the past can fortunately easily upload the videos to YouTube using the very same app. The attached screenshots illustrate the process. 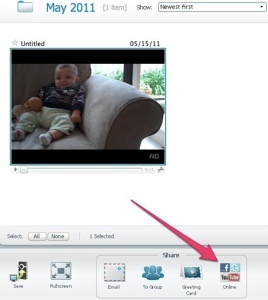 FlipShare did not implement unlisted video sharing option, thus only two options are shown in the user interface (private and public). 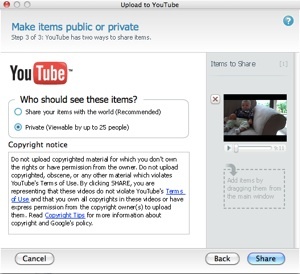 If you would rather not share the videos with the entire world, but do not want to deal with the complexity of managing video access, upload the files as private and then mark it unlisted as explained here. Once your videos are on YouTube, you can always get the video files back as covered in this help article which details the video download process. 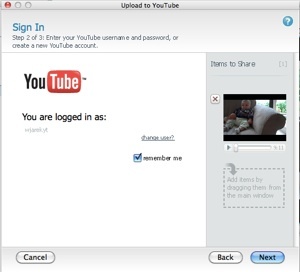 This entry was posted in video, youtube and tagged cisco, flipcam, flipshare on May 25, 2011 by jarek.